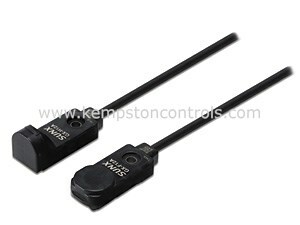 INDUCTIVE PROXIMITY SENSOR, RECTANGULAR SHAPE, 2,5MM, NO, PNP, CABLE 1M IND. PROXIMITY SENSOR NPN OUTPUT, NORMALLY OPEN, DIFF. FREQ.